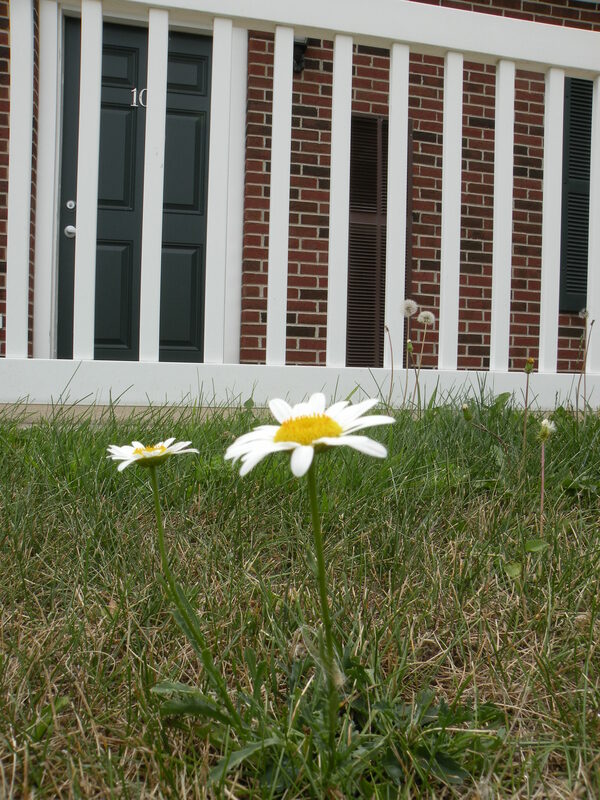 Last week I was walking up to my apartment and noticed a single daisy right in front. I stood there in awe as I glanced around to see if another had popped up somewhere. No other daisy was nearby and it took my breath away knowing it was Kathy’s favorite flower. I approached it to get a better look. It was then I noticed a small stem sprouting off it that had not bloomed. It tugged at my heart when I thought of the significance this beautiful but simple flower had to me. The next morning the second flower had bloomed. It was smaller and more delicate than the first. Throughout the day my thoughts would dwell on the two daisies that proudly displayed themselves in front of my apartment. I knew the following day the landscapers would come and mow over what meant so much to me. I decided to take some pictures before I would grudgingly cut them with a pair of scissors. Carefully I snipped at the bottom of the two flowers so they would not be separated. I carried them inside and gently laid them down between two paper towels. On top of the towels I placed a heavy object and thought about the day I would display them in a frame. This was a gift, a gift from God. Thank you for your comment, it’s very sweet. In 2005 someone bid 202,000 dollars on a rare orchid, finding those daisies in front of my apartment was priceless. God is definitely in the little things.